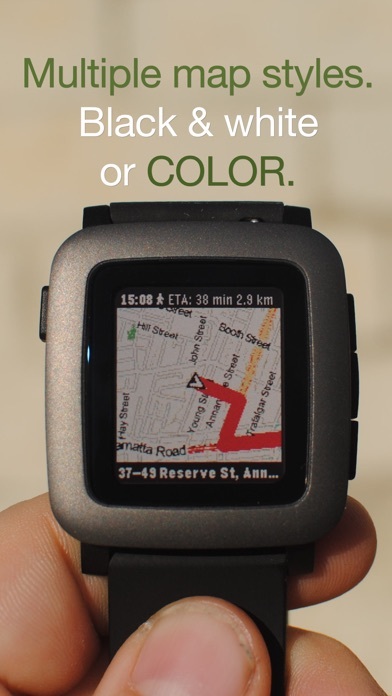 Put a mini map on your Pebble smart watch, and get turn-by-turn directions to a destination! 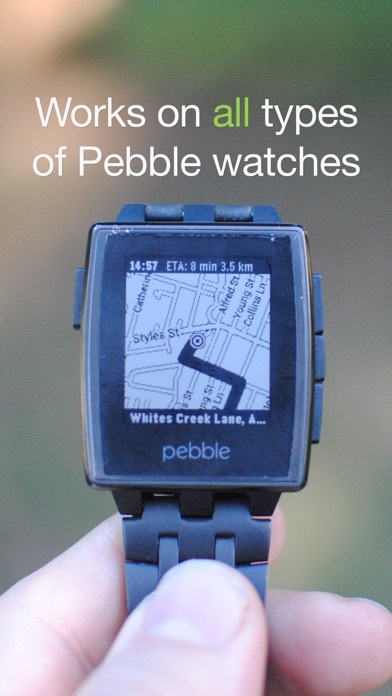 Please also install the watchface from the Pebble App Store. - Turn-by-turn requires a destination to be set in the iOS app first! 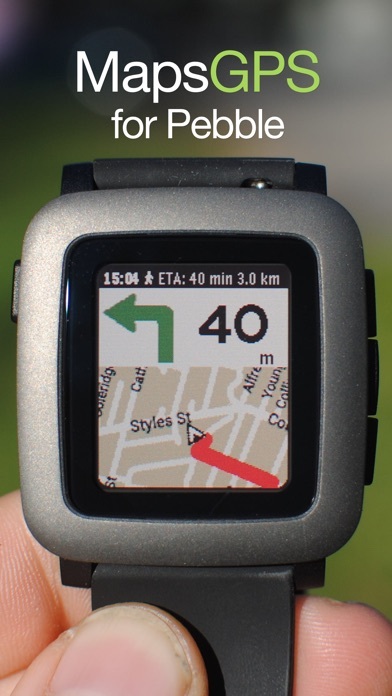 - Phone GPS shuts off after a few minutes if not using the watchface. 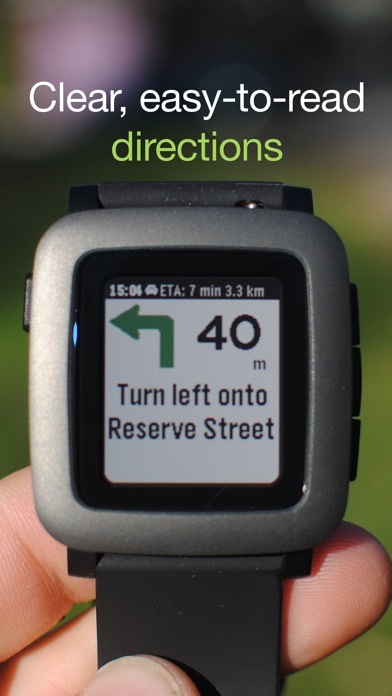 Unless you are running in an LE-only mode (such as Pebble Round), you can only have one third-party iOS app talking to your Pebble at once. 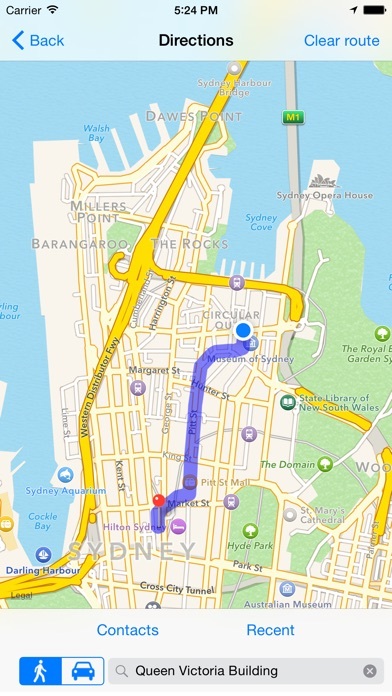 MapsGPS uses data to download maps and directions. A wifi or cellular connection to the internet is required.